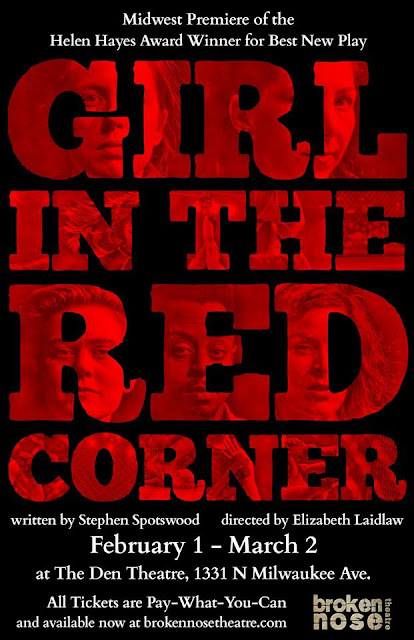 Broken Nose Theatre is pleased to continue its seventh season with the Midwest premiere of Stephen Spotswood’s drama GIRL IN THE RED CORNER, directed by Elizabeth Laidlaw, playing February 1 – March 2, 2019 at BNT’s resident home, The Den Theatre (2A), 1331 N. Milwaukee Ave. in Chicago’s Wicker Park neighborhood. 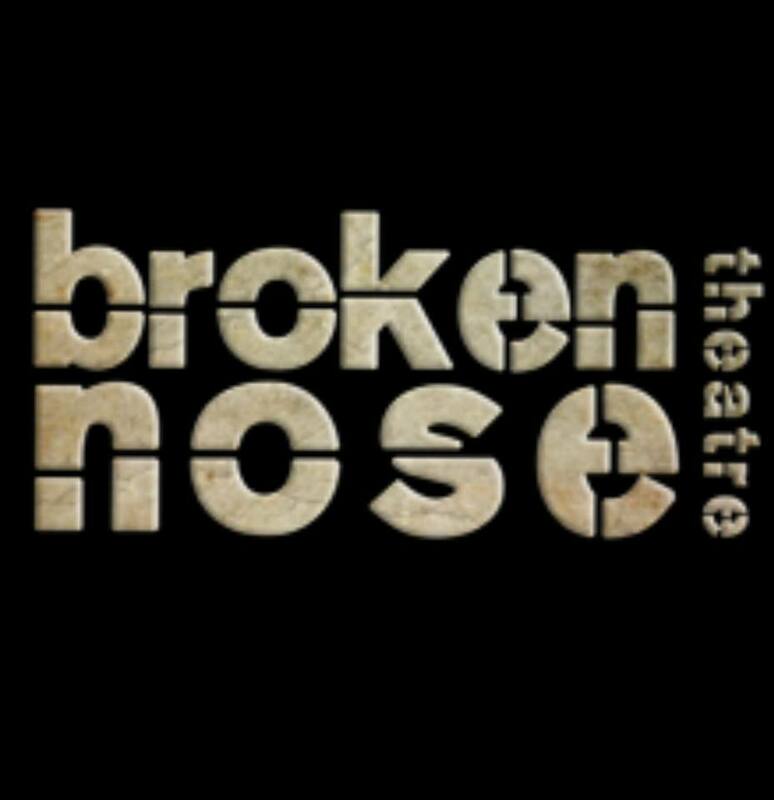 Tickets are currently available at www.brokennosetheatre.com. 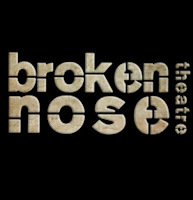 Tickets for all Broken Nose Theatre productions are available on a “pay-what-you-can” basis, allowing patrons to set their own price and ensuring theatre remains economically accessible for all audiences. I'll be out for the press opening February 4th so check back soon for my full review. GIRL IN THE RED CORNER will feature BNT company member Elise Marie Davis* and artistic associate Kim Boler^ with Michelle Courvais, August N. Forman and Mark West. Unemployed and fresh from an abusive marriage, Halo steps into a gym one day and signs up for mixed martial arts lessons. Her family thinks it’s ridiculous. Her trainer thinks she’s soft. But none of them know the anger that fuels her ambition. When it’s rage that brought you into the cage, are you really ready to see what winning looks like? GIRL IN THE RED CORNER is a visceral, fast-moving tale of self-discovery, one that allows women to take centerstage in a world so often dominated by men. The production team for GIRL IN THE RED CORNER includes Therese Ritchie (scenic design), Lizzie Cook (costume design), Cat Davis (lighting design), Isaac Mandel (sound design), Devon Green^ (props design), John Tovar (fight choreography), Alison Dornheggen (associate director), Madisen Dempsey (assistant director), Rose Hamill* (production manager), Dominique Zaragoza (technical director), Liz Gomez (master electrician) and Jenna Thiel (stage manager). Cast (in alphabetical order): Kim Boler^ (Brinn), Michelle Courvais (Terry), Elise Marie Davis* (Halo), August N. Forman (Gina) and Mark West (Warren). Stephen Spotswood (Playwright) is a DC-based playwright, educator and journalist, who received his MFA in playwriting from the Catholic University of America in 2009. At the 2017 Helen Hayes Awards, he received the Charles MacArthur Award For Outstanding New Play for Girl In The Red Corner. Produced works include: Doublewide (NNPN Rolling World Premiere); Girl In The Red Corner (The Welders); The Last Burlesque (Pinky Swear Productions); Walking The City Of Silence And Stone (Forum Theatre); In The Forest, She Grew Fangs (defunkt Theatre, Washington Rogues); We Tiresias (Best Drama, Capital Fringe Festival 2012); When the Stars Go Out (Bright Alchemy Theatre); Sisters of Ellery Hollow; The Resurrectionist King (Active Cultures Theatre); Off A Broken Road (Imagination Stage); and A Cre@tion Story for Naomi (Bright Alchemy). 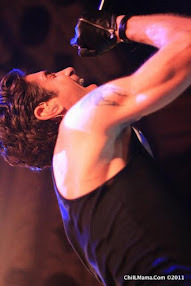 He is a current member of The Welders playwrights collective and a member of Forum Theatre’s artist ensemble. Elizabeth Laidlaw (Director) has worked in Chicago and regional theatre professionally for 25 years. She is the founder and artistic director of Lakeside Shakespeare Theatre, begun in 2003. 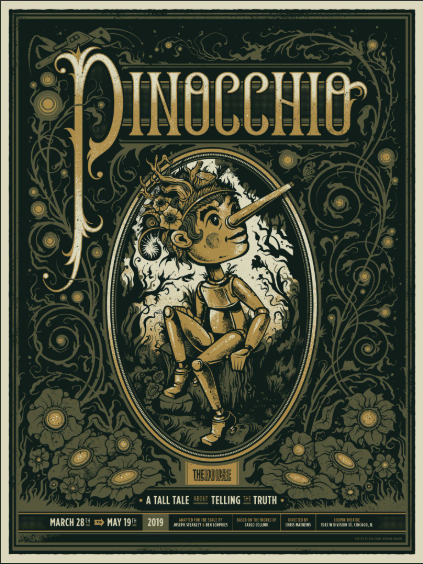 At LST, she has directed Romeo and Juliet and The Taming of the Shrew, and co-directed A Midsummer Night’s Dream (with Jeff Christian) and most recently Henry VIII, (with Christy Arington). She is also the co-producer (with Mia McCullough) of The Haven web series, co-directing episode 2. She assisted director Terry Kinney with East of Eden at Steppenwolf Theatre. 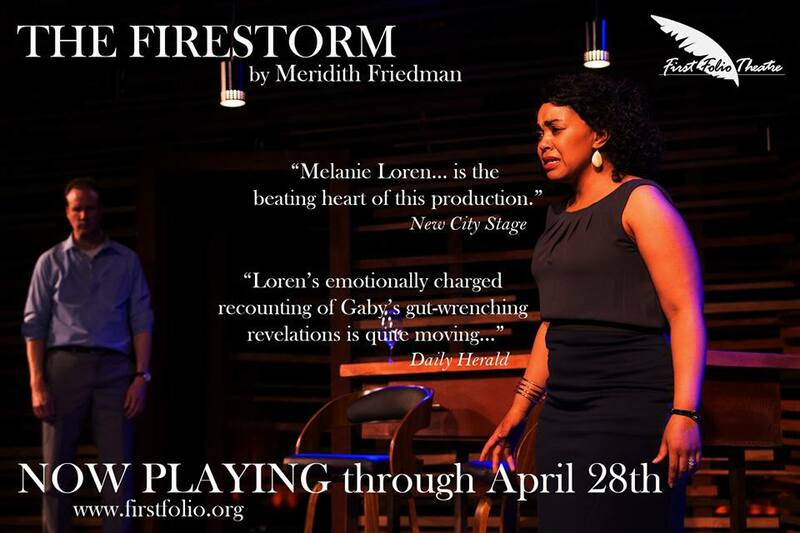 This past season, she served as the intimacy consultant on The Doppelgänger, also at Steppenwolf, and as the violence and intimacy designer for A Moon for the Misbegotten at Writers Theatre. As an actor, Elizabeth has appeared onstage at Chicago Shakespeare, Steppenwolf, Writers Theatre, Court Theatre, The Goodman and many, many others. Film credits include the features, Henry Gamble’s Birthday Party, Into the Wake, Eastern College, Dimension and Three Days. Television includes Chicago PD and Crisis (NBC), Betrayal (ABC) and Boss (Starz), The Chicago Code (FOX). Ms. Laidlaw spent the autumn of 2018 filming The Red Line, a new drama series for Warner Bros and CBS television, written and produced by fellow Chicagoans Caitlin Parrish and Erica Weiss, Her voice can be heard narrating Hard Earned, a documentary produced by Kartemquin Films for Al-Jazeera America, and in numerous television commercials, audiobooks and video games. She received her BFA from Illinois Wesleyan University and completed post-graduate Shakespeare studies at the Royal Academy of Dramatic Art of London, UK.